Renting a bike is great fun for all ages. 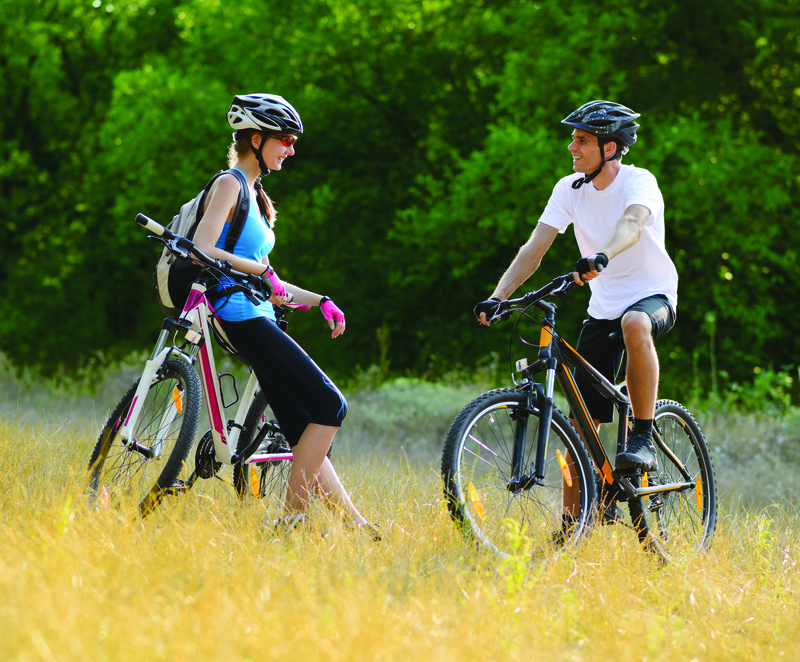 Families, couples, groups or solo, renting a bike is a fantastic experience. Choose your rental bike online and come along to collect it at Malahide Castle, Co Dublin. 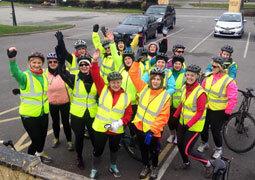 Follow some of our organised tours or just hop up on the bike and see where it takes you. From the beautiful gardens of Malahide Castle you can head off around Portmarnock, Sutton and onto Howth, maybe take on the challenge of conquering Howth Summit, the views from this height make the tough climb well worth it. Or turn at Sutton Cross and head on down the coast into Clontarf, we really do have some beautiful views in the fingal area. With the beautiful coast line and award winning parks, there are plenty of places to explore.What better way to enjoy your surrounds than a leisurely cycly on your bike rental. We have children’s bikes for rent along with chariot trailers and tag-along bikes therefore no matter what age the kids are we have cycle rentals for your family. 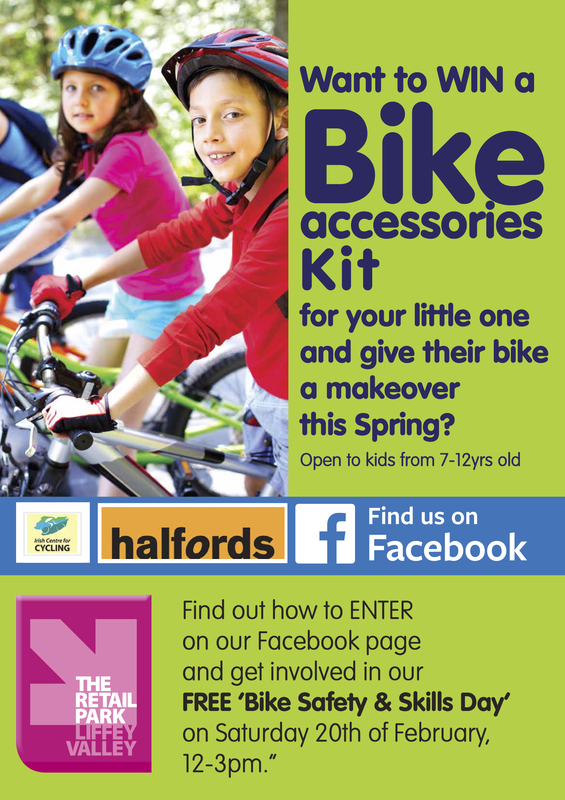 Hire for a full day, a half day or even just an hour, we know your family will have a great day out on the bikes. 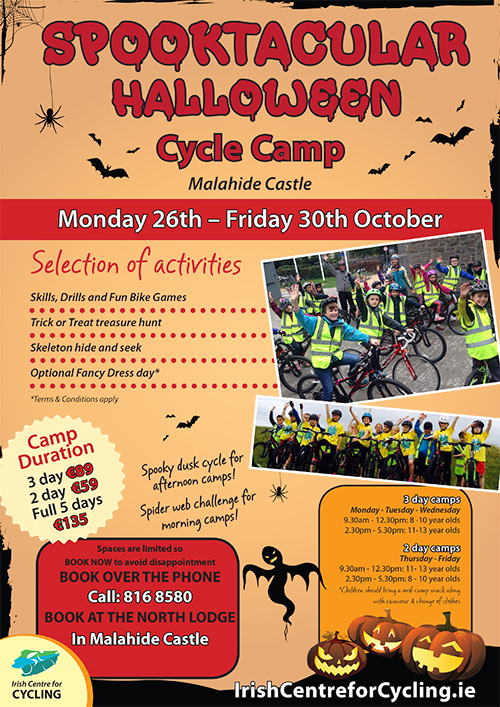 Children love cycling, some of the older ones will love our Historic Castles of Fingal Tour our Wheels and Waves Tour or our very popular Bike, Boat and Burger Tour . 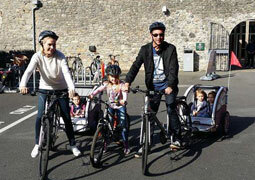 Don’t ever be stuck for a family day out, the Irish Centre for Cycling has plenty of ideas with our cycle tours and cycle rentals. We have a fleet of 300+ Giant bikes. Giant are the world’s leading brand for quality and safety in bikes. While we stock the traditional comfort style rental bikes, we also have a wide variety of 24 speed hybrid and full on lightweight road bikes for the more competitive cyclists. Our brand new stock (2014) includes road bikes, hybrid bikes, e-bikes and children’s bikes along with chariot trailers and tag-along bikes. Of course we also supply all of the necessary ancillary and safety equipment. Our bike rental prices go from as little as €6 for an adults bike for an hour, €12 for a half day or €18 for the full day. Our childrens bikes go from €4.50 for an hour, €8.50 for a half day or €13.50 for the full day. Head over to our Choose a bike page to view all the bikes available. Photo ID - Passport, Driving Licence or other recognised photo ID will be required as proof of identity when hiring a bike. Cycling Experience - It is a condition on all of our bike rentals that the person hiring must be able to cycle a bike. The staff at ICC will ensure your bike fits and you have all the necessary safety equipment. All cyclists must adhere to the rules of the road while cycling their bike rental. Irish Centre for Cycling can provide cycle training for anyone who needs help in this area, for more info on cycle training click here.